FXOptimax offers up to 25% bonus for each deposit to MT4. Grab it now to boost your trades! 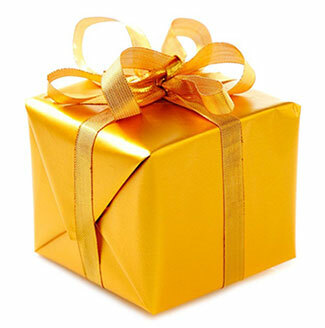 Please learn how the bonus works in the following sections. The available free margin upon request must be at least four times of the requested bonus and the credit amount must be zero in current or other MT4s (no active bonus at all). Available for 4 digits and 5 digits Precision Pricing accounts. IB will get rebates from accounts with bonus. Deposit recycling (redepositing the fund that has been withdrawn before) is not allowed. This terms and conditions will be applied to the previous deposit bonus. Client may request to transfer the bonus to trading balance if the required trading volume specified in above table has been fulfilled and the bonus is still active in client's MT4. Please email us at [email protected] to request a bonus transfer. The minimum free margin while requesting must be greater than the bonus. The total trading volume is calculated since the bonus is credited. Request will be processed once all orders have been closed. Client may withdraw all the balance any time. Bonus will be canceled if the equity after withdrawal is less than five times of the bonus. Bonus will be canceled once account is stopped out or after 90 days unless it has been transferred to the account balance. Client may request to cancel the bonus anytime. Participation of related parties to this promotion participant, such as family member, other person or entity, whose account is controlled by the same participant or having similar, partially same or entirely same data, are prohibited. FXOptimax reserves the right to disqualify the participation of these parties, cancel all orders, profits and bonuses in suspected accounts. Any indication or suspicion of fraudulent attempt, manipulation, abusive or any other act with a lack of good faith towards FXOptimax will result in trade and bonus cancellation. FXOptimax reserves the right to reject bonus request or cancel any credited bonus in a certain condition, without explaining the reason. Please manage your strategy carefully regarding this clause. FXOptimax reserves the right to update, cancel or end this promotion, with prior notification through FXOptimax website or medias. Please login to MyFXOptimax and select Account->Claim Your Bonus. Please choose the MT4 number and the bonus you want to request, our team will review and process your claim. 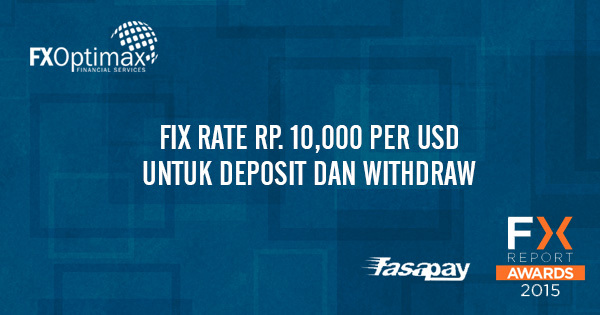 Deposit through selected Indonesia exchangers or Fasapay IDR with special fix rate IDR 10000 / USD. Fix rate will be applied on withdrawal from FixRate MT4 Account. This promotion is only available for 4-digits classic fix spreads account and 5-digits Precision Pricing account. Withdrawal to another exchanger or withdrawal option is subject to FXOptimax approval. Fees may be applied for withdrawal with normal rate.